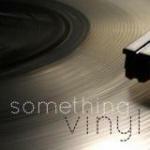 somethingvinyl had the most liked content! I was genuinely surprised by the Kofi vs. Bryan match. I loved their Elimination Chamber one-on-one encounter and this match did not disappoint. I was surprised they put the belt on him, actually. Everything they did felt like they rehashed the Bryan story line (talking about his years with the company, calling him a B+ player, making it seem like the authority was holding Kofi back, etc). But they did it. I hope they can work a program together with Daniel getting rematches. It was probably the best match on the show and certainly my favorite. I was up for the challenge but very much intimidated by the prospect of being alone with my son for long periods of time early on. He was nearly a month old the first time I had him for several hours. But like anything else, you get used to it. Even though it's stressful having a baby, you can still kind do what you want as far as seeking entertainment freely. I'm pretty conservative about what media I consume in front of my child now, but from 0-2.5, I could watch or listen to anything without worrying about it impacting him in any way. I worked over nights during my son's first year, so I had it kind of easy. But when he was 10 months, his mom went back to work so I had him during the day by myself. I really think long periods of time of just he and I alone helped us bond and forged part of the relationship we have today. Ugh. I need to spend money right now like I need a hole in my head. But the song sounds good. This is a thread just about The Used on the sly, isn't it? Zao - Decoding Transmissions From The Möbius Strip 7"
Got this last week. Nice package. Got the Xenophobe reissue and it came with a sweet Zao guitar pick. I absolutely love the way these guys are doing things with the band these days. Just wish I wouldn't have sold off my LP's and tests because I only have Liberate and the new stuff. "representative subset for extrapolation sufficient" Yes. I friended Samm Culley on FB from Skull Snaps. He's pretty indignant about all the bands who sampled the record and never paid royalties, which I would be too. But it makes for funny discussions. Daniel Bryan is the WWE champion again and turned heel-ish? He now face Brock at Survivor Series. Not a single Brock match (save for he and AJ a year ago at SS) in the past 3 years has been that interesting. They better not squash Daniel. ^ Yeah, I hear that. I liked watching it with my kid. I don't watch Raw or SD so I don't know if this is a thing, but they had mid-match promos like 80's episodes of Superstars where the heels would be cocky and the faces would be noble. That was really funny, but kind of out of place on a PPV. Crown Jewel was a weird show. Not interested in taking a gamble for $30 preorder, but cover sure is pretty. Got the seafoam and splatter. That Bike song is so good.